Ircam HEar provides faithful reproduction of a stereo mix or a full surround mix with up to ten channels, supporting Dolby Atmos , with a pair of conventional stereo headphones. It relies on proven technology to model the various phenomena that occur when playing back audio material through a loudspeaker system. 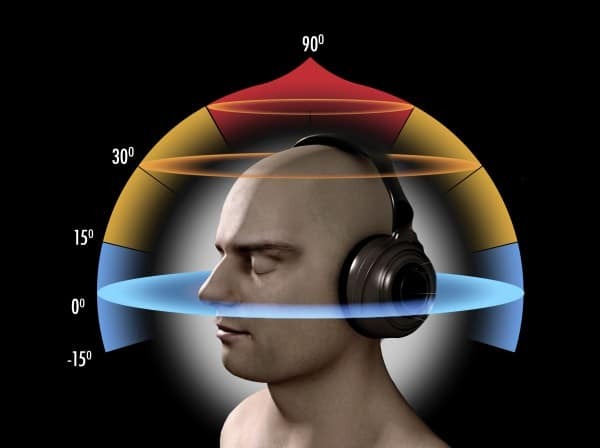 Binaural technology encompasses methods for recording, processing, synthesizing and reproducing sound that are specifically designed to preserve tridimensional localization properties. A routing Matrix provides an overview of the mapping between the plugin’s inputs from the DAW track to the virtual speaker internal outputs, and a Speaker Mode specifying which virtual speaker configuration that should be emulated. 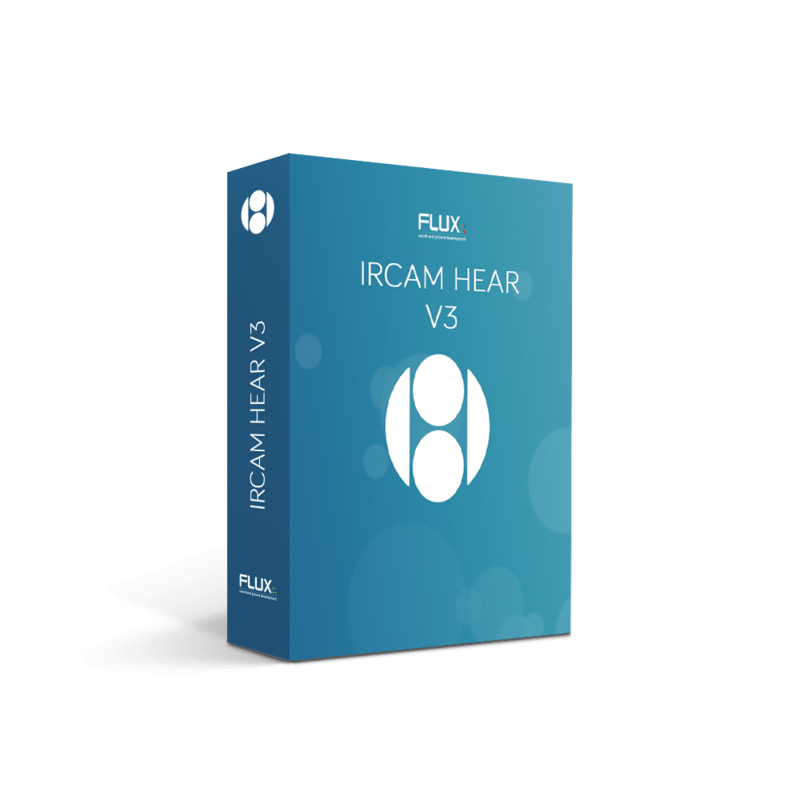 Faithful binaural reproduction of a stereo mix or a full surround mix with up to ten channels, supporting Dolby Atmos , with a pair of conventional stereo headphones. 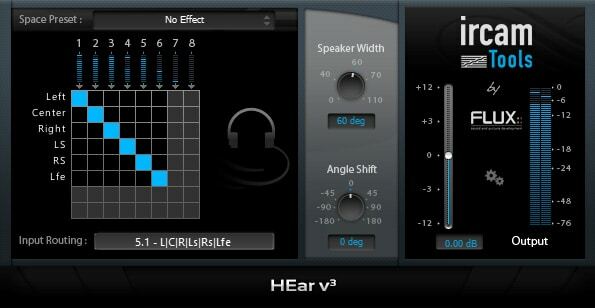 Speaker Width to control the width between virtual speakers, expressed in degrees, which allows for narrowing or broadening the stereo image. HEar relies on HRTF filter measurements made using a KEMAR (Knowles Electronics Manikin For Acoustic Research) dummy head and torso simulation. 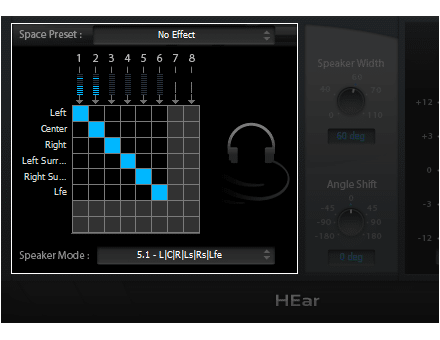 This plugin relies on HRTF filter measurements made using a KEMAR (Knowles Electronics Manikin For Acoustic Research) dummy head and torso simulation. This type of manikin was conceived during the 1970’s for conducting acoustics experiments using a model with anthropometric dimensions equivalent to that of an average human listener.